“Like a light bulb went off in my head, first off I never want to feel helpless again,” Rader said. This experience also showed Rader that women could be firemen too. After the woman had a heart attack the Fairfax County fire and rescue were called, and some of the workers were women. From there things changed. “Within a couple of weeks I had taken a CPR class so I would know what to do and then I filled out an application to be a volunteer in Fairfax County to see if it would be something I’d like,” Rader said. Which led her to take a test with the Huntington Fire Department closer to her hometown of Ironton, Ohio, just across the river from Huntington. And 22 years after working her way up the ladder, Rader is now the first paid female fire chief in West Virginia. In the state there are 438 fire departments according to the West Virginia State Fire Marshal. Only 12 of those departments have full time chiefs, Huntington being one of them. Of the others, there are 12 female chiefs running volunteer departments. Rader said at one point there was one other woman who worked for the fire department, but since the late 90’s she’s been the only one. Rader was named interim chief in December when former Chief Carl Eastham retired. She was immediately thrusted into a budget crisis that involved the Fire Department. Huntington Mayor Steve Williams said it’s Rader’s leadership and ability to communicate that’s helped throughout the process. He said she has the qualities you want in a leader. Rader also serves on the Office of Drug Control Policy in Huntington. She said she was led to that role by encountering the number of people she saw addicted to drugs during emergency calls with the fire department. One of the people she helped save is Mickey Watson. He overdosed twice; both times Rader saved his life. Watson said he owes his life and recovery to Rader and her commitment to help those dealing with addiction in the Huntington community. Fellow fireman Charlie Shumaker said Rader is good for the department. 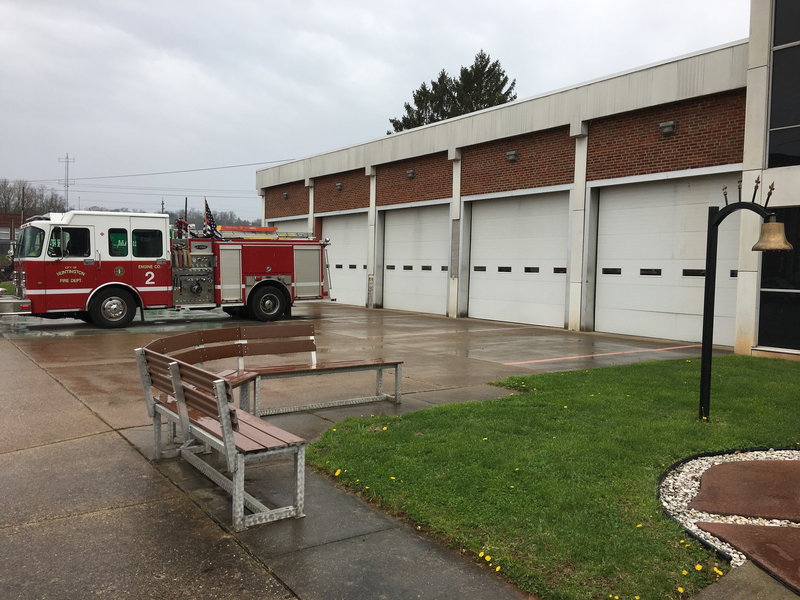 “She’s a very very competent leader, she’s a very good fire ground officer, she’s very safety conscious and wants to move this department forward in a very progressive manner and I think that’s a very positive step in the right direction for the city of Huntington fire department,” Shumaker said. People like Mickey Watson say Rader can accomplish whatever she sets her mind too, and he’s a prime example of that. “She is the perfect example of what a leader in our community should be,” Watson said. Watson has been sober since November of 2015. Rader said she’ll serve in the role of Fire Chief for as long as Mayor Williams will have her. A Huntington audit has uncovered the city's fire pension board failed to properly calculate retirees' pensions, resulting in overpayments for over 25 years. City Manager Cathy Burns says the city overpaid about 50 fire department retirees. Burns says miscalculations started in 1990 when the city moved to a "confusing" state formula. The city of Huntington is the first place winner of America’s Best Communities competition. The announcement came Wednesday night. Huntington officials in Denver, Colorado, received a $3 million award to be used on local revitalization efforts. Huntington was one of the 8 finalists last April and has already received $100,000. The city of Huntington will find out later today (Wednesday) if it’s one of the Best Communities in the country. Last April, Huntington was announced as a finalist for the America’s Best Communities competition. The year-long event will wrap up Wednesday with the top 8 cities giving a final presentation in Denver, Colorado. The winner will be announced at 7:00 p.m. Wednesday night. 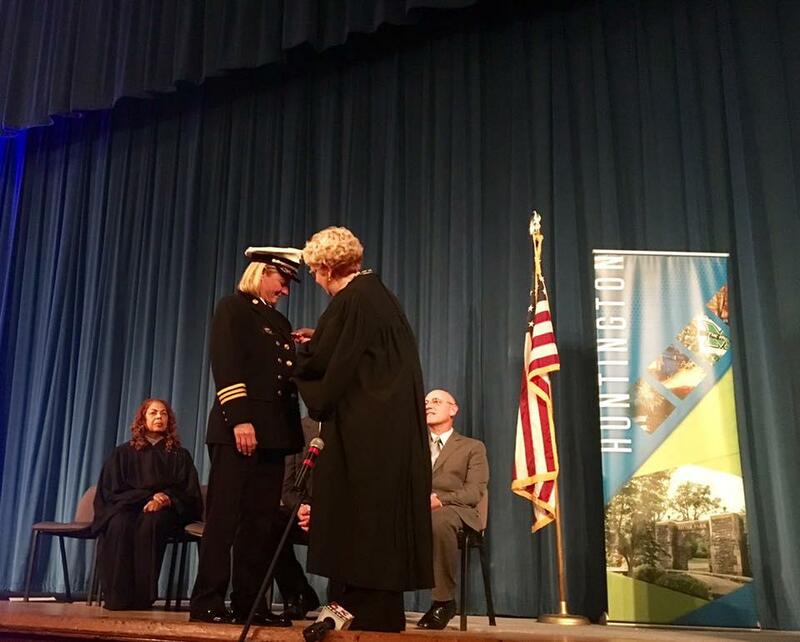 Jan Rader has become the first female professional firefighter to attain the rank of fire chief in West Virginia after being sworn in as Huntington fire chief Wednesday. The Herald-Dispatch reports Rader has served in the Huntington Fire Department for 22 years. She had been interim fire chief since December, upon her predecessor's resignation.